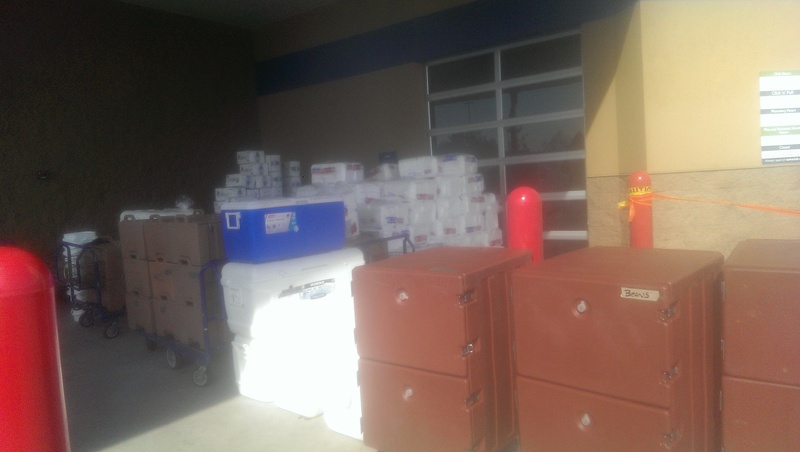 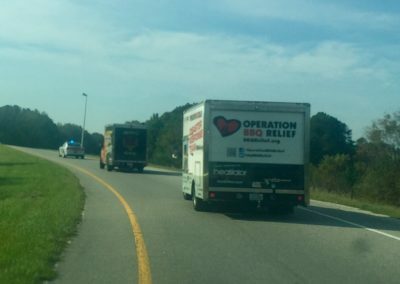 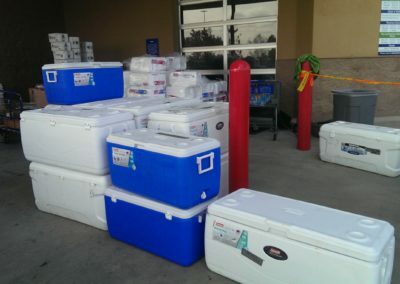 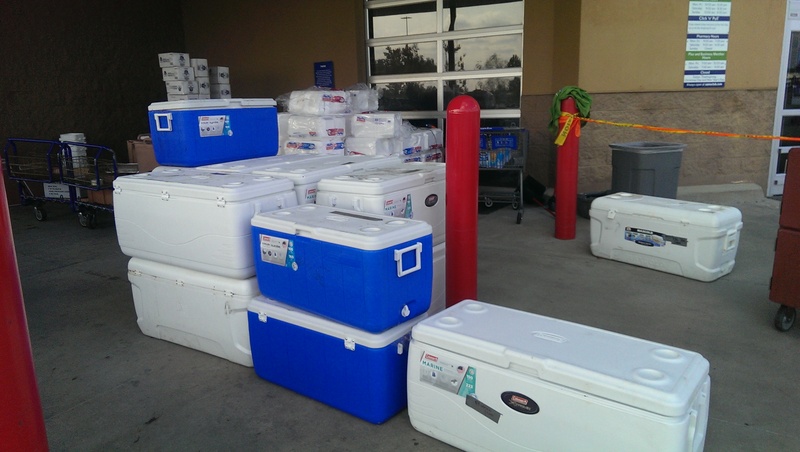 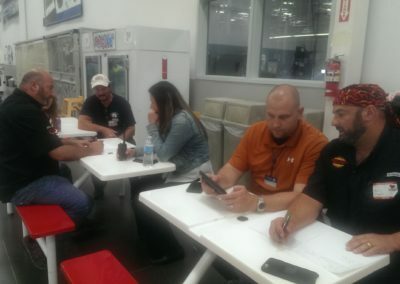 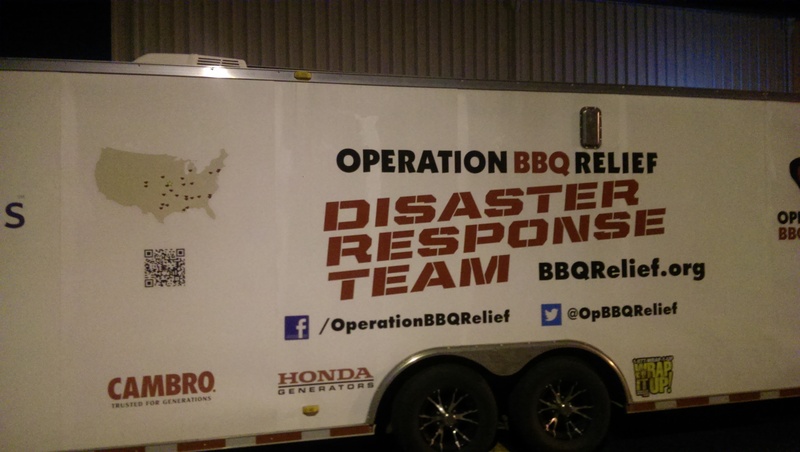 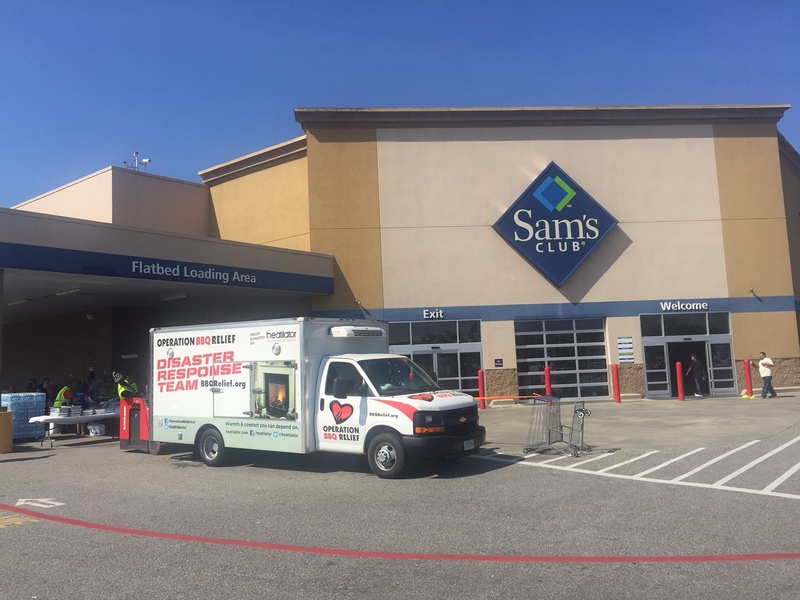 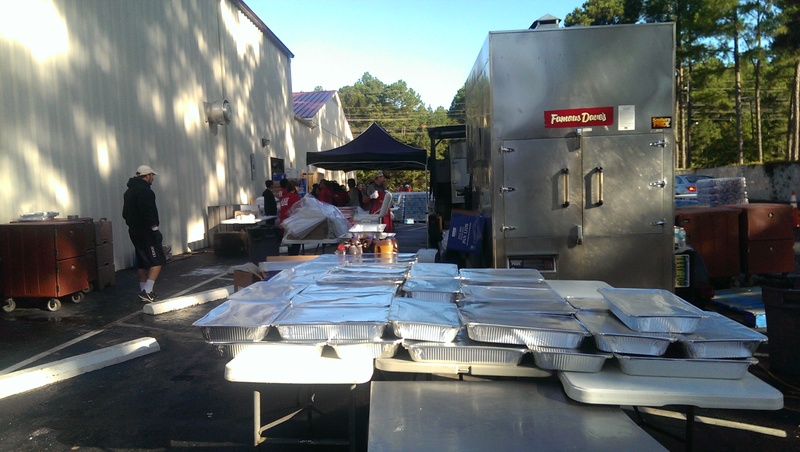 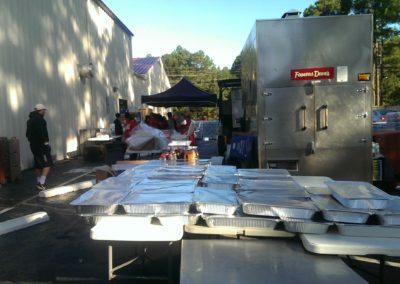 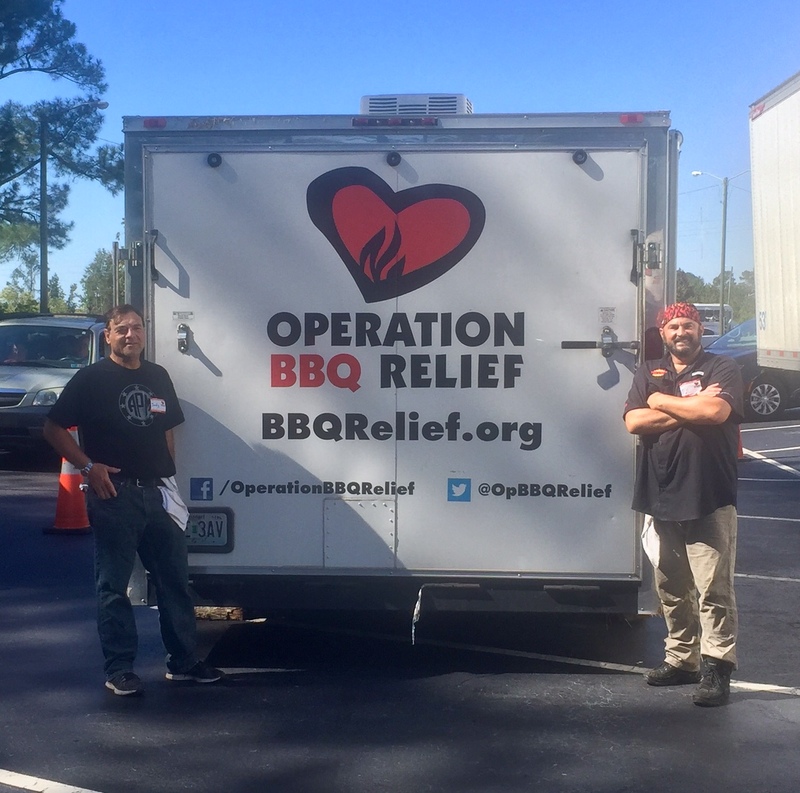 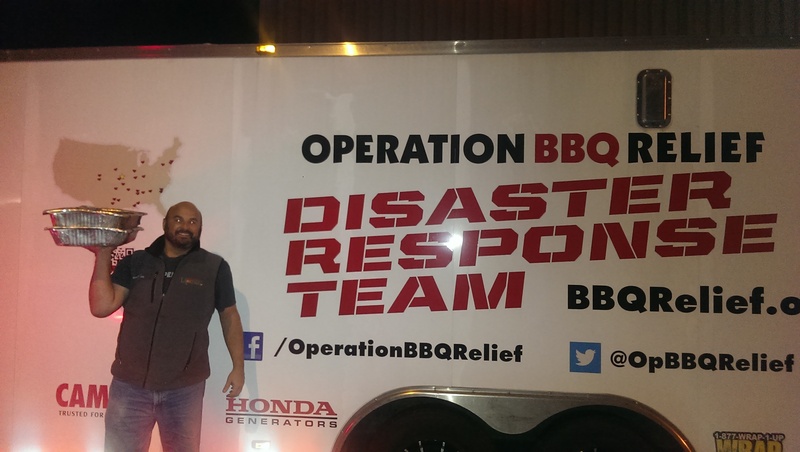 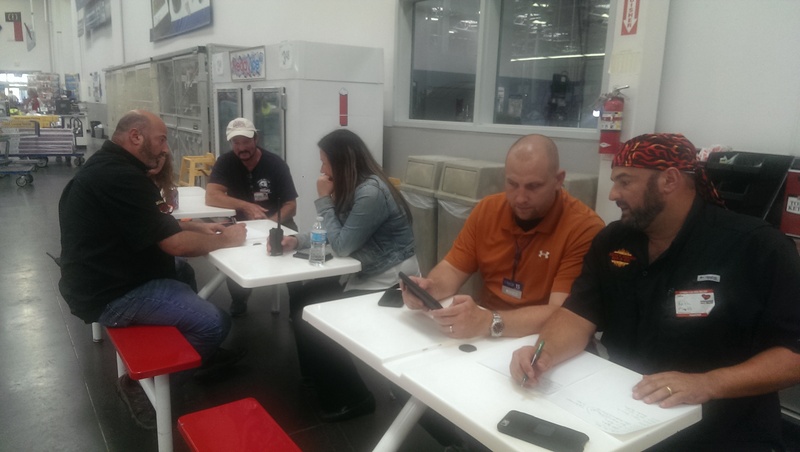 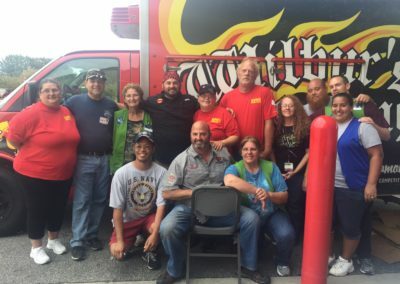 Keith Marks, Jody Pollack and Stuart Green were fortunate enough to be able to support the efforts of Operation BBQ Relief as they provided over 100,000 meals for the victims of Hurricane Matthew in Fayetteville and Lumberton North Carolina. 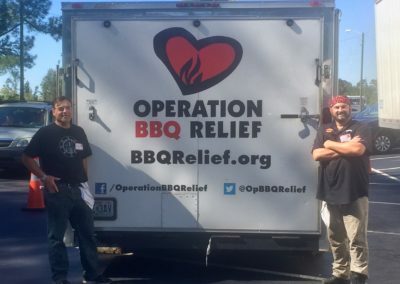 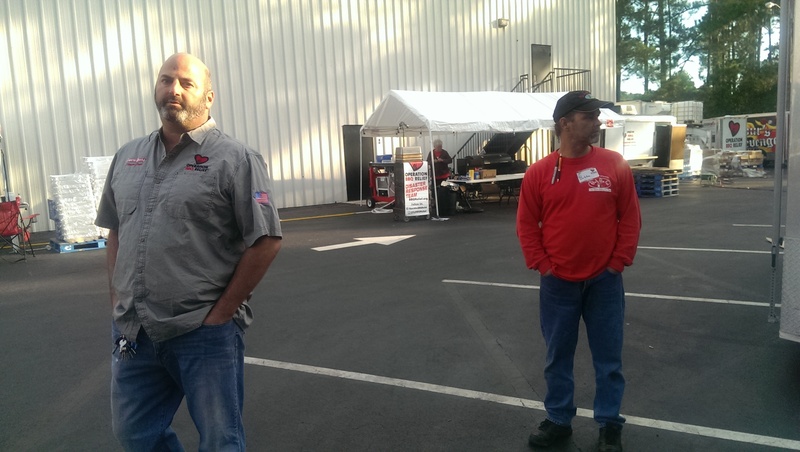 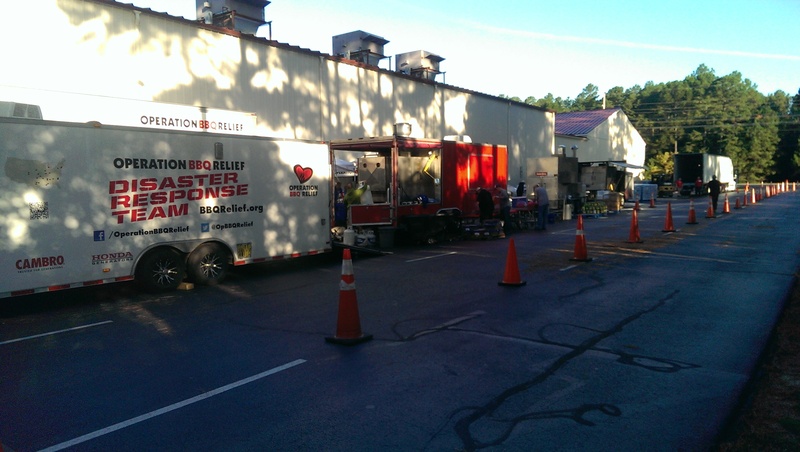 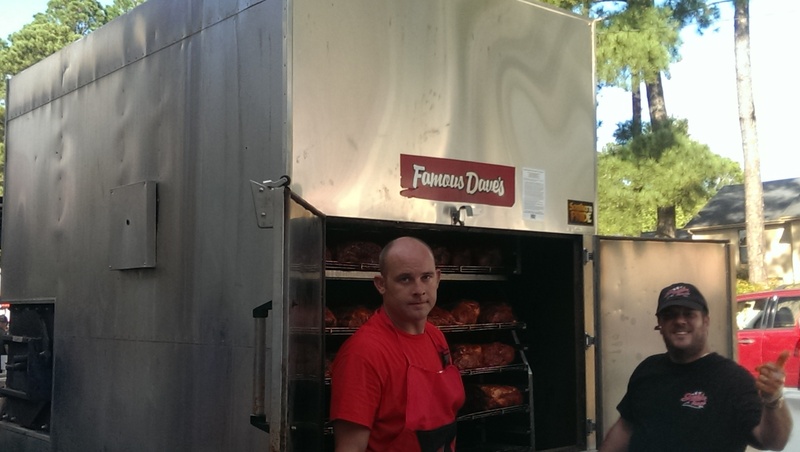 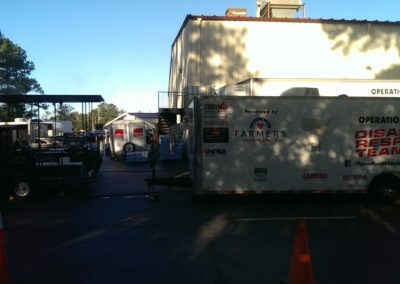 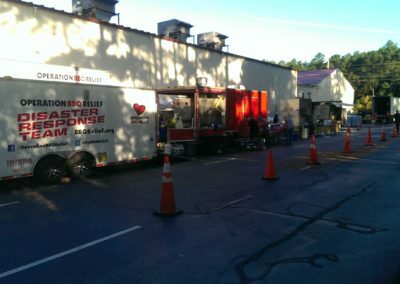 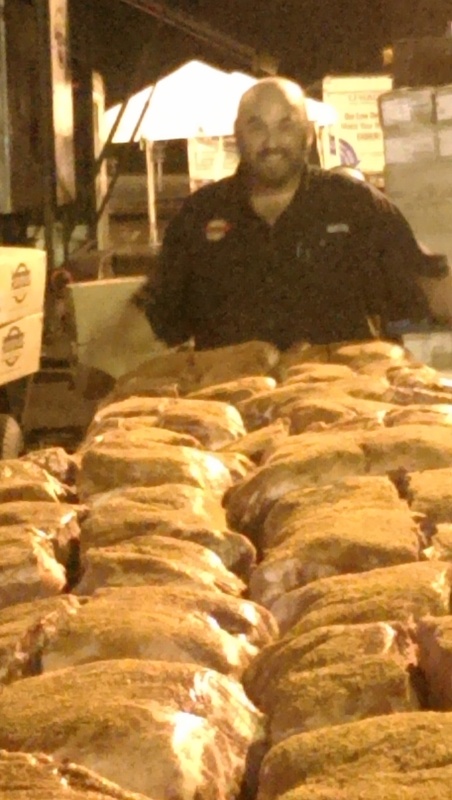 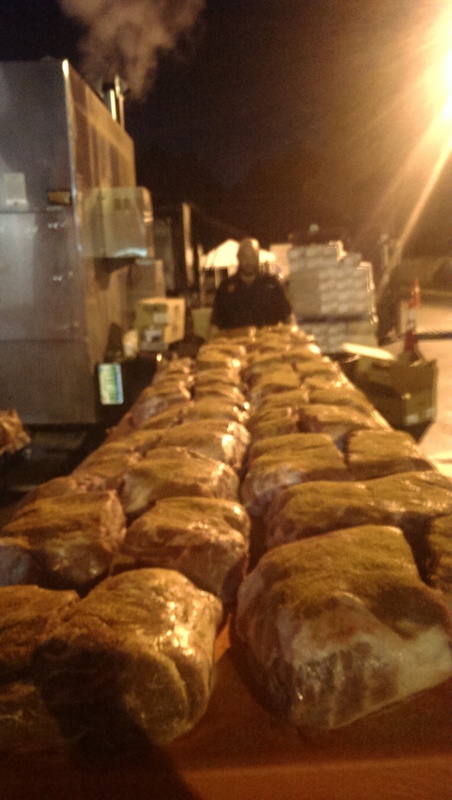 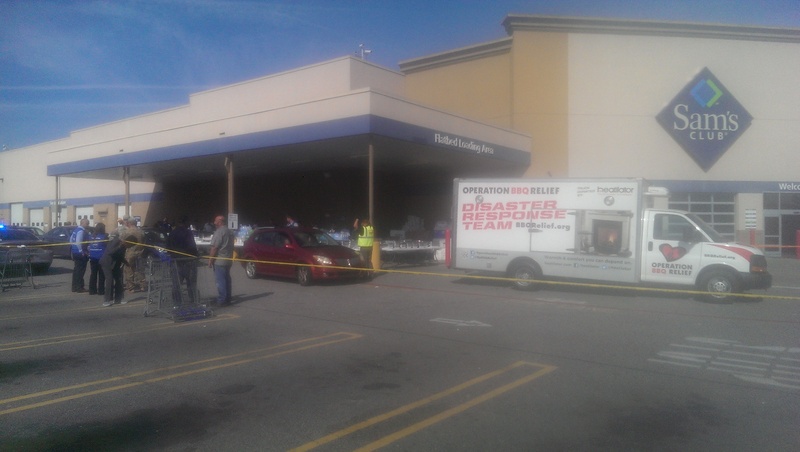 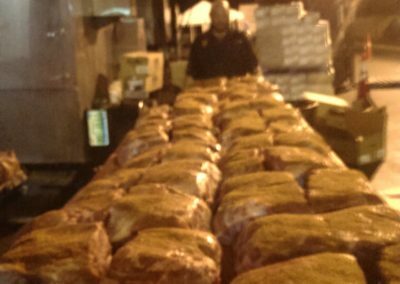 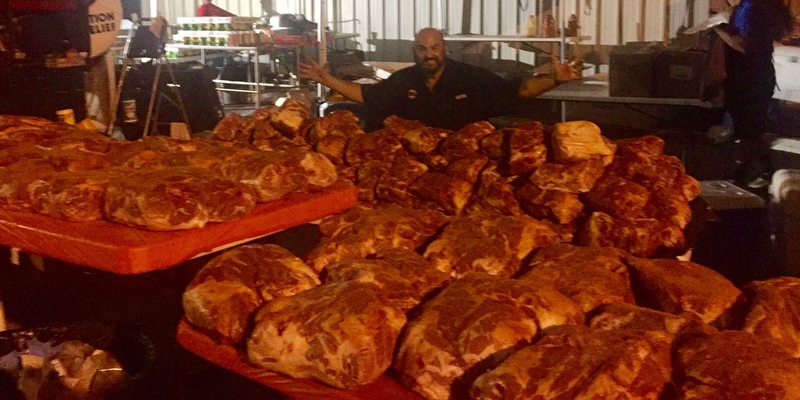 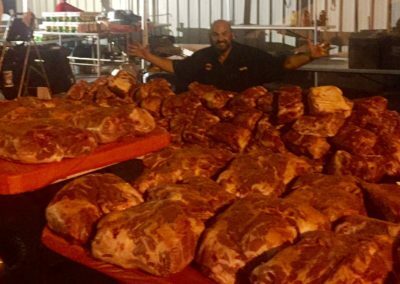 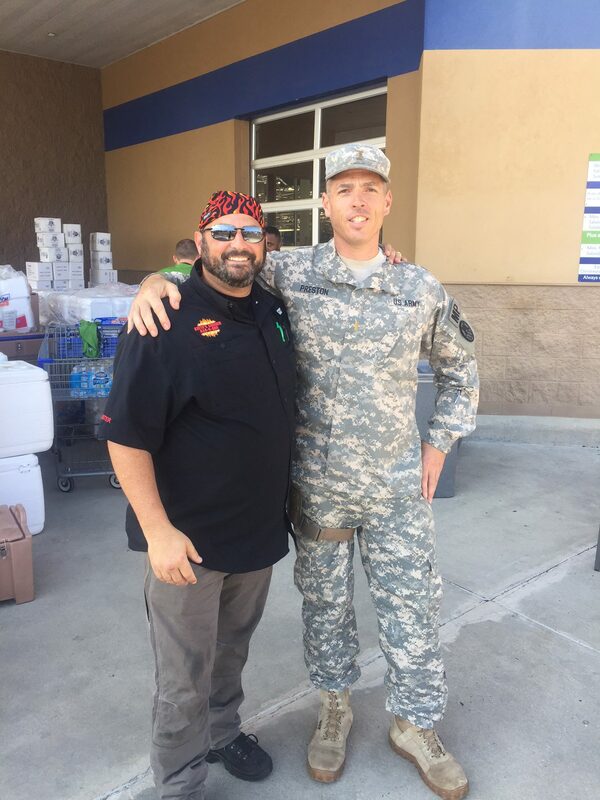 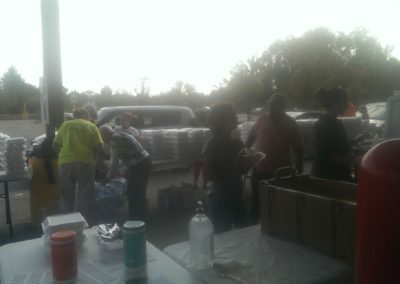 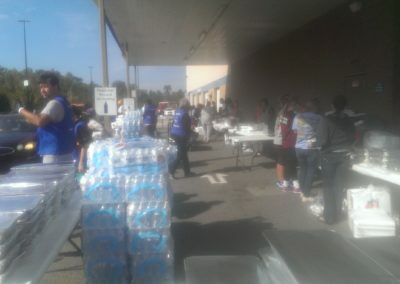 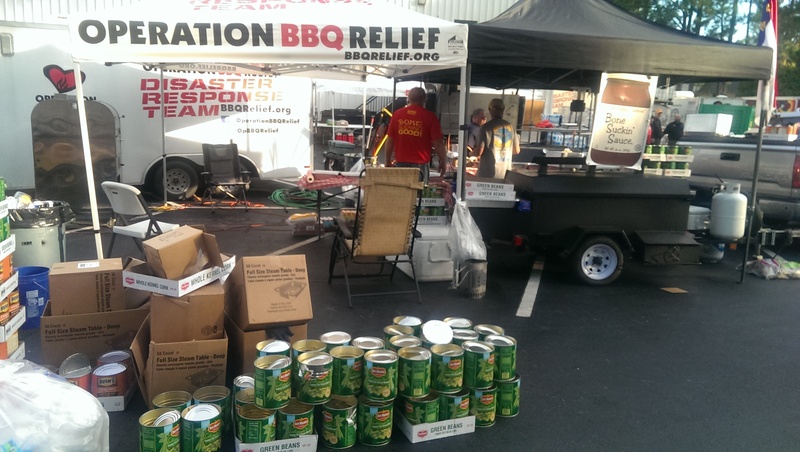 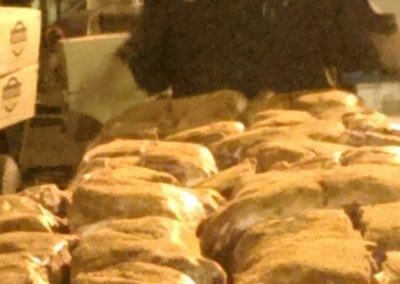 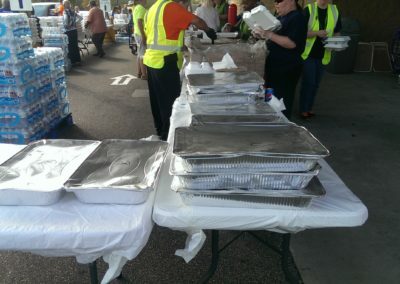 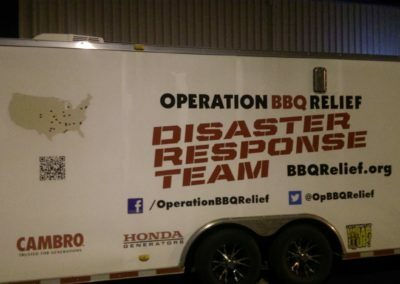 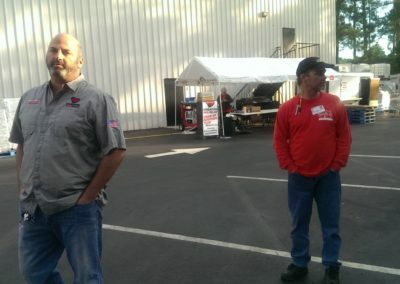 The Atlanta Kosher BBQ Competition was able to donate 450 meals worth of Briskets to OBR. 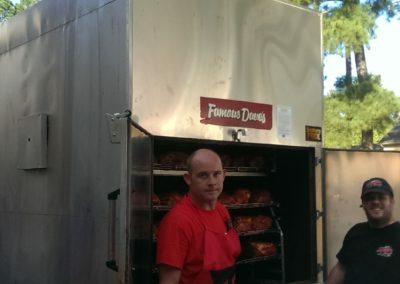 The Atlanta Kosher BBQ Competition was able to donate cooked briskets to the Cohen Home and Berman Commons for the High Holidays. 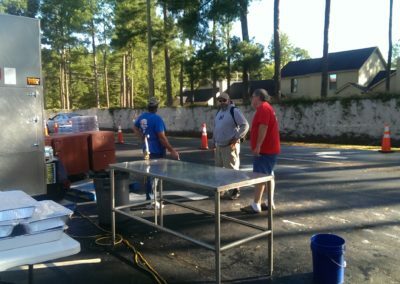 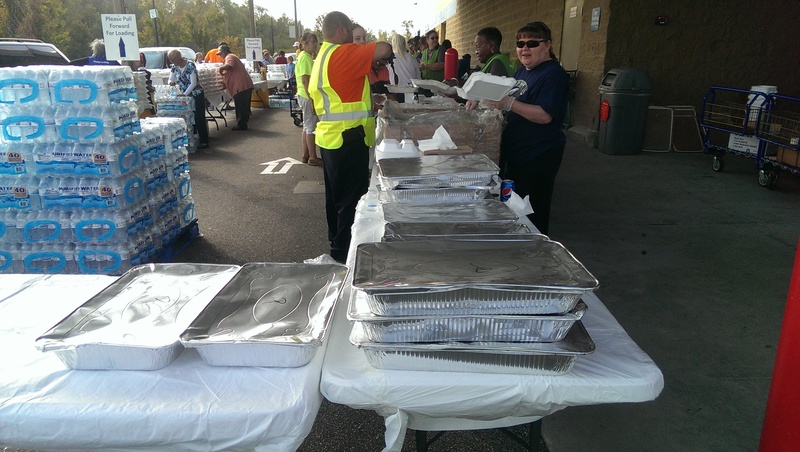 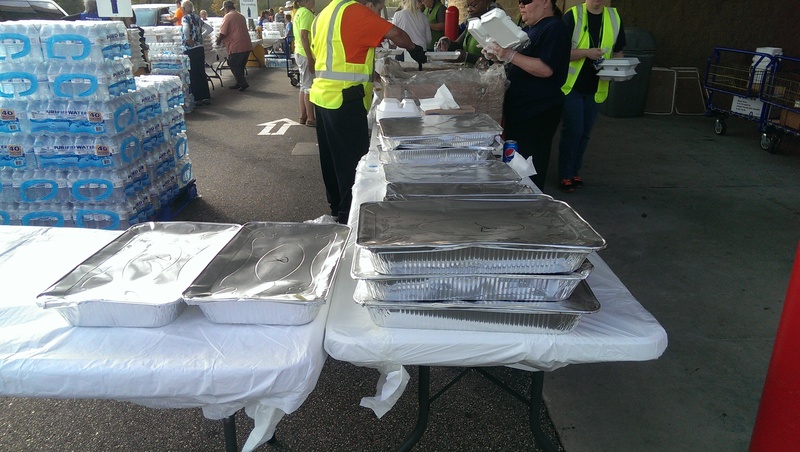 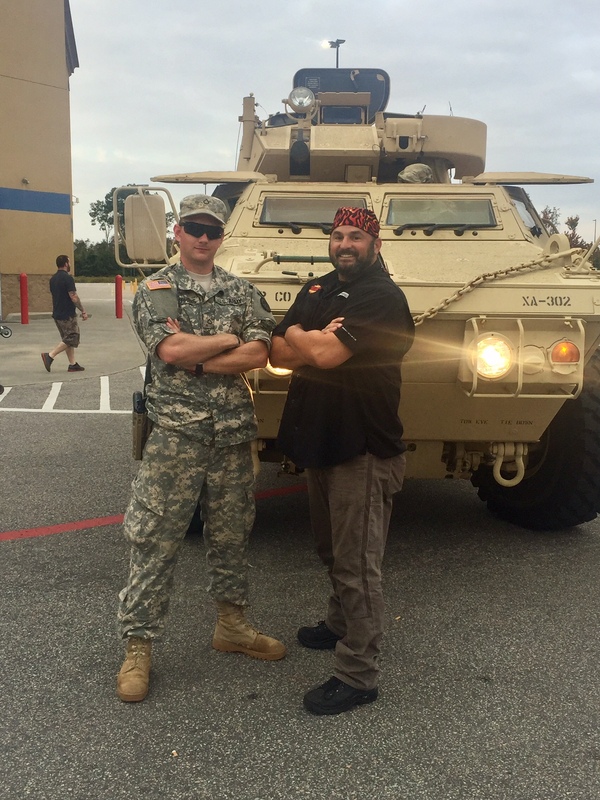 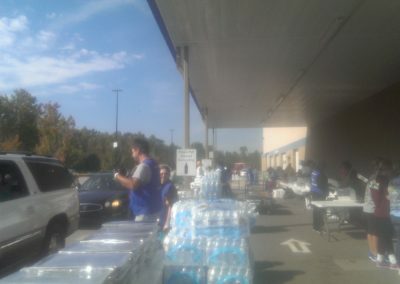 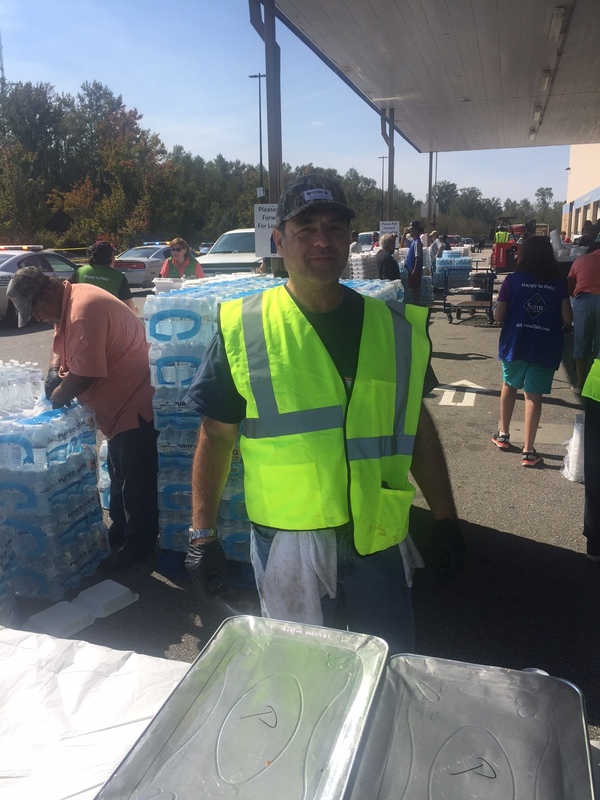 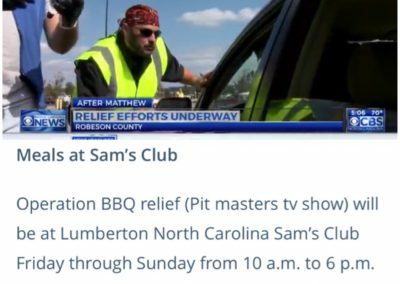 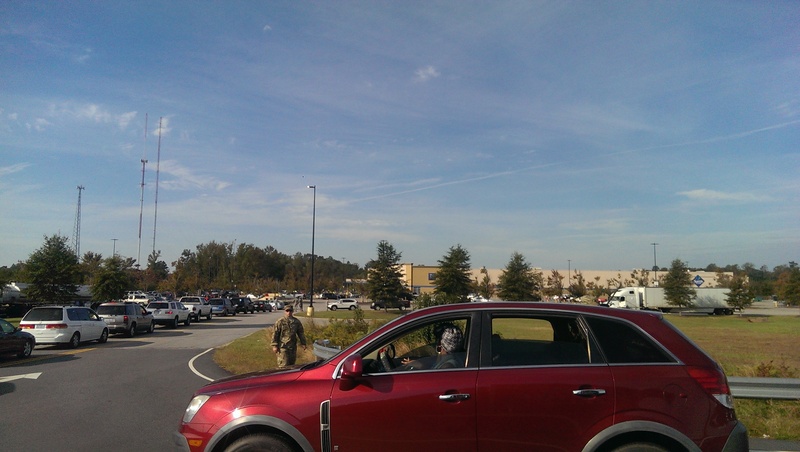 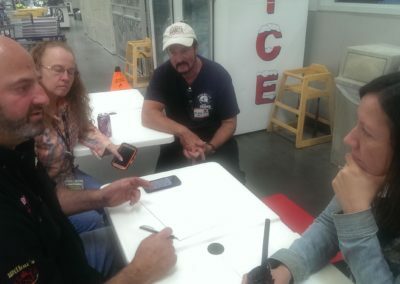 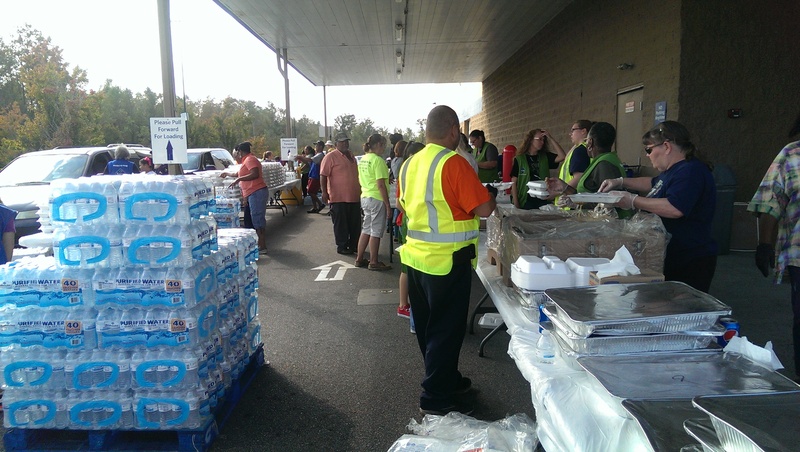 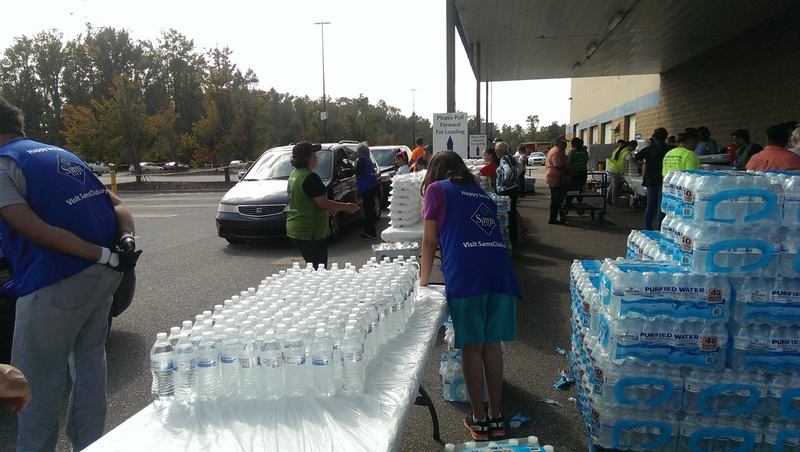 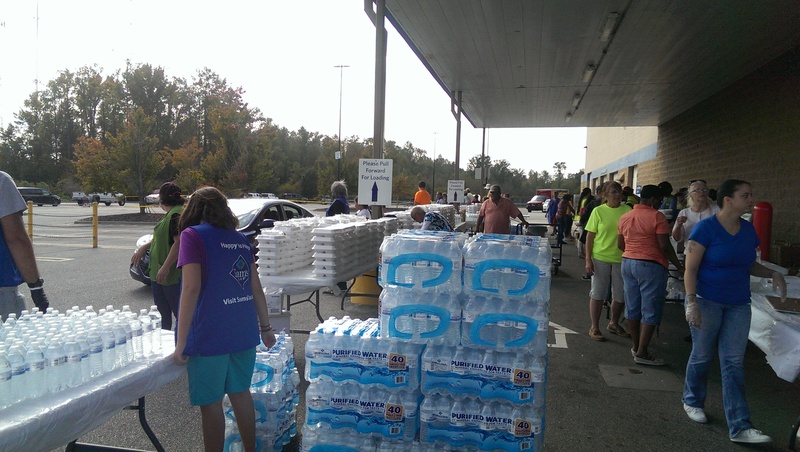 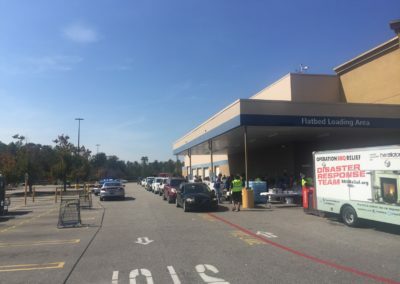 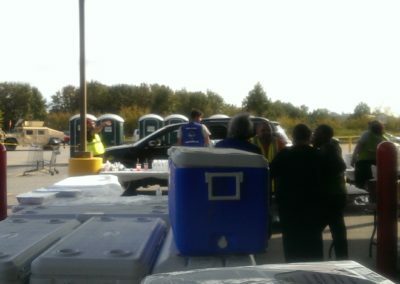 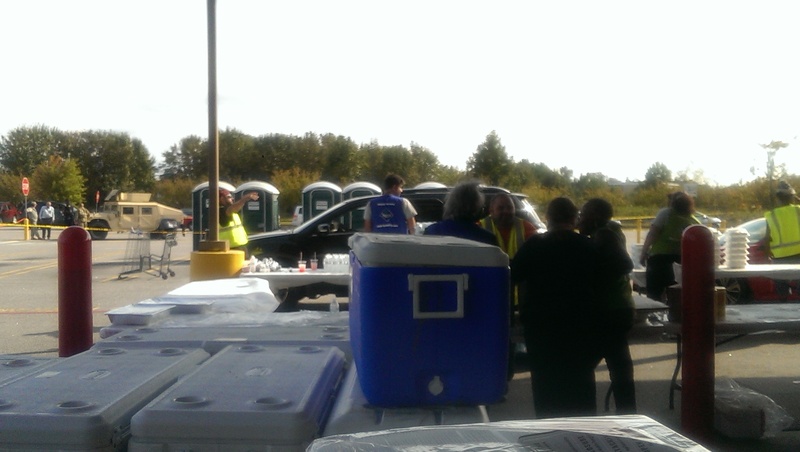 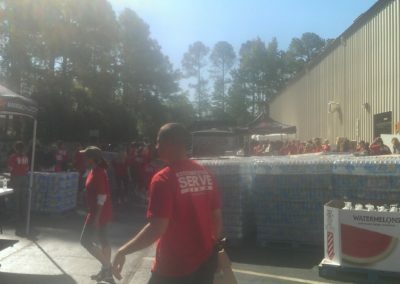 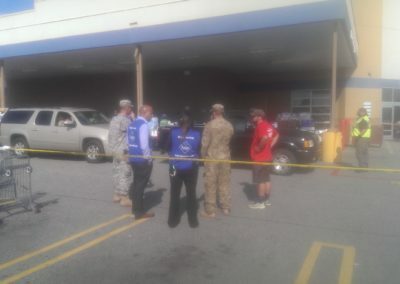 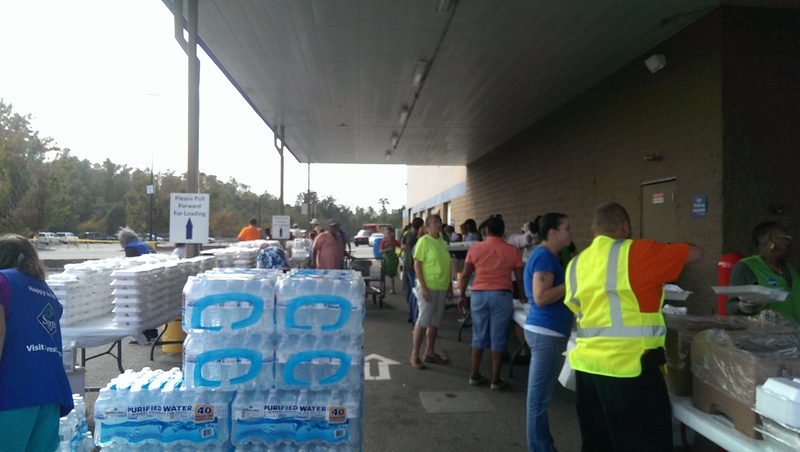 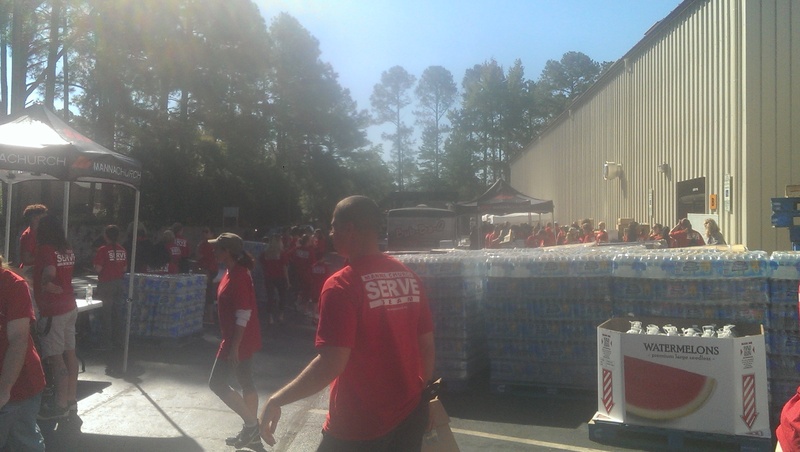 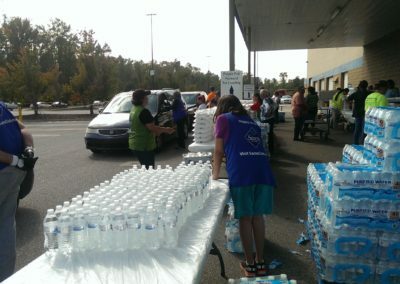 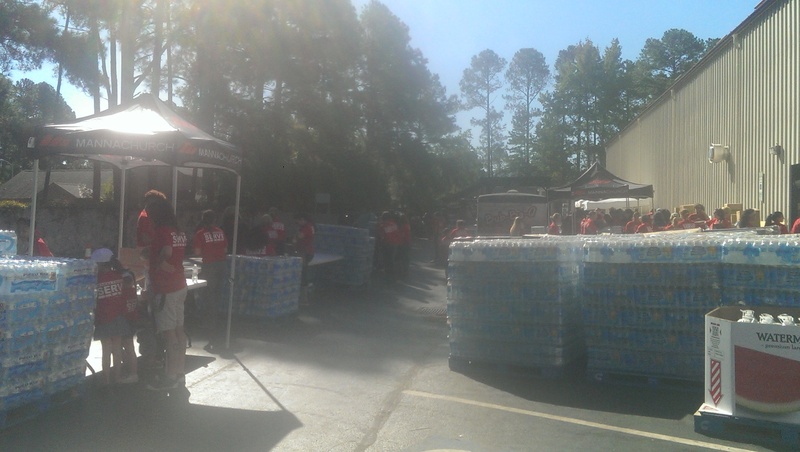 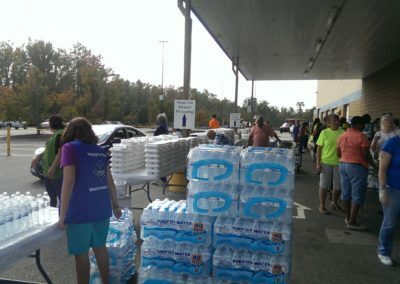 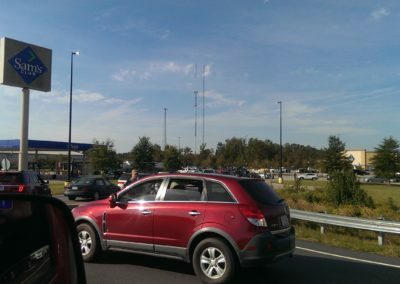 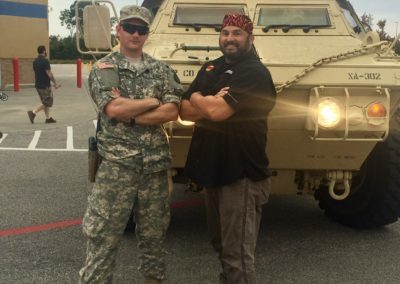 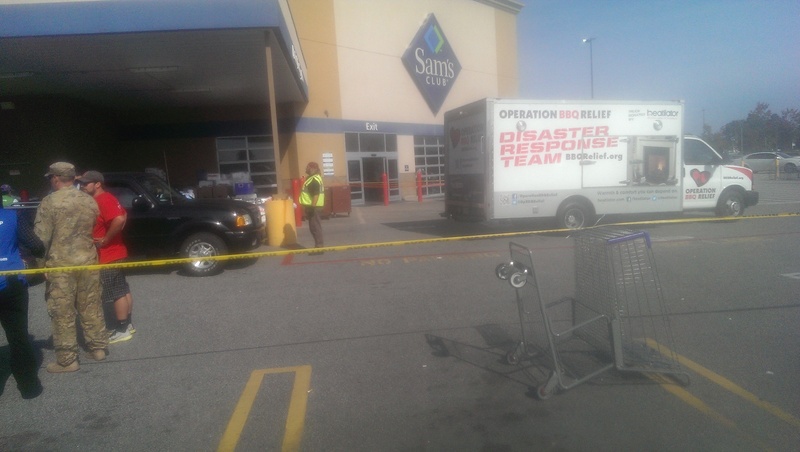 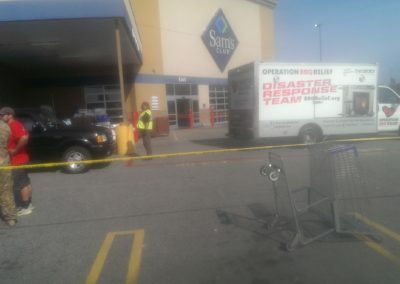 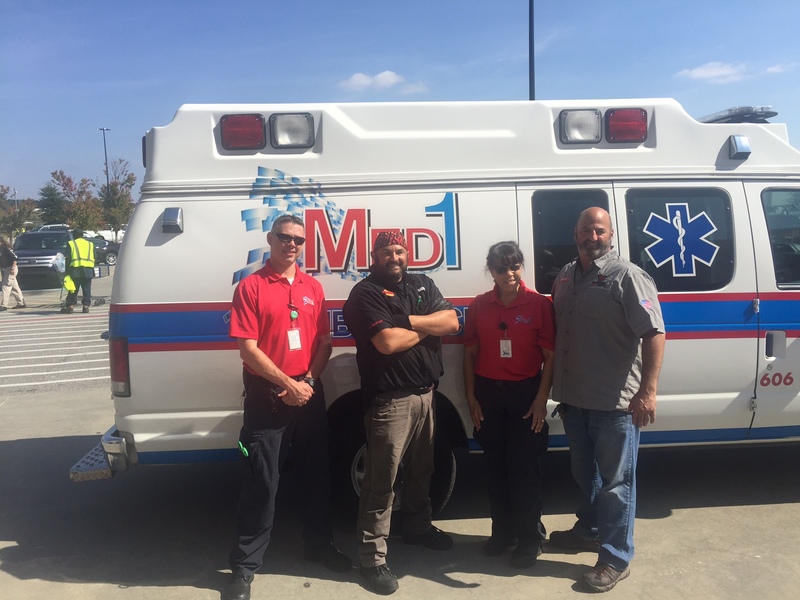 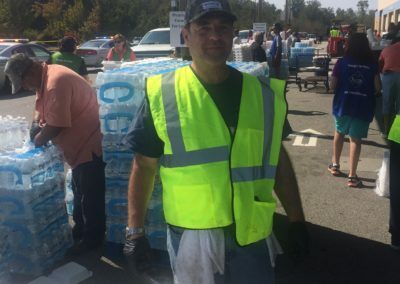 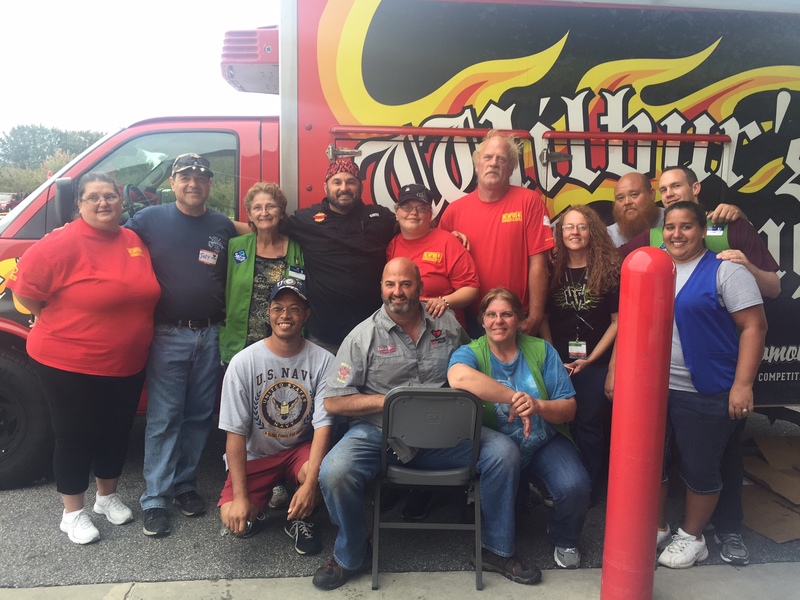 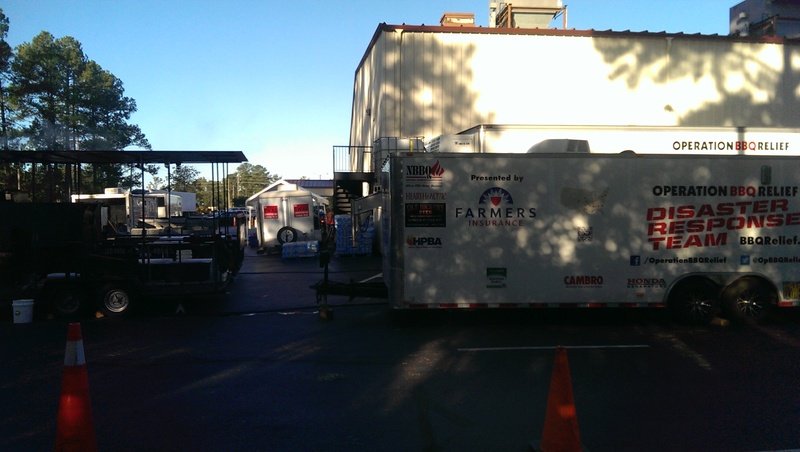 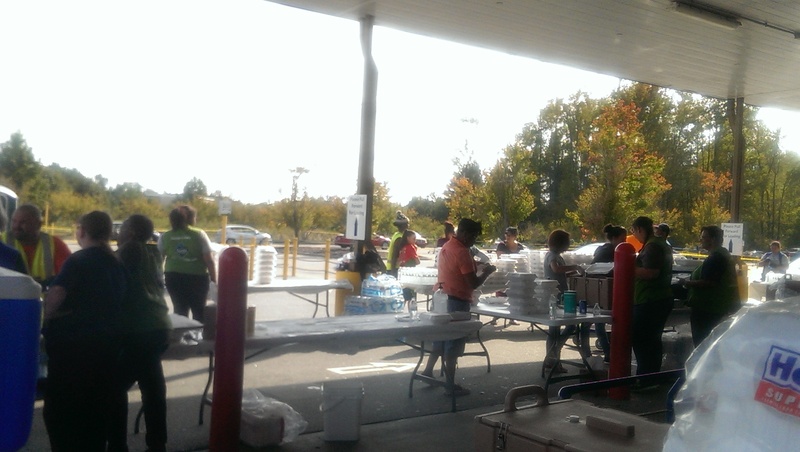 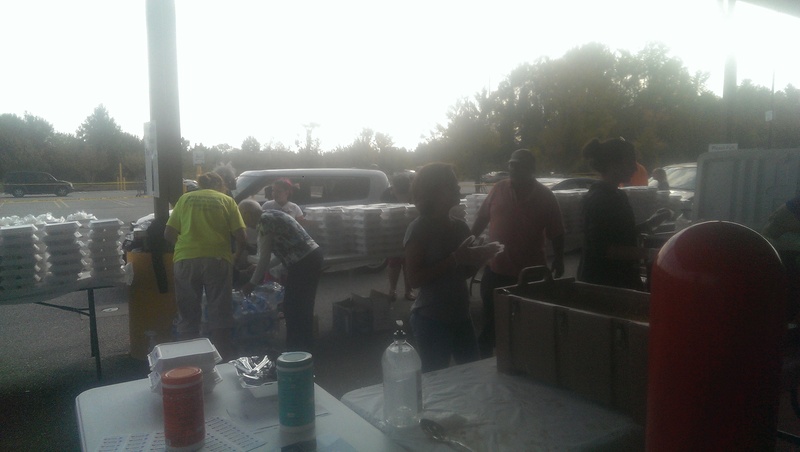 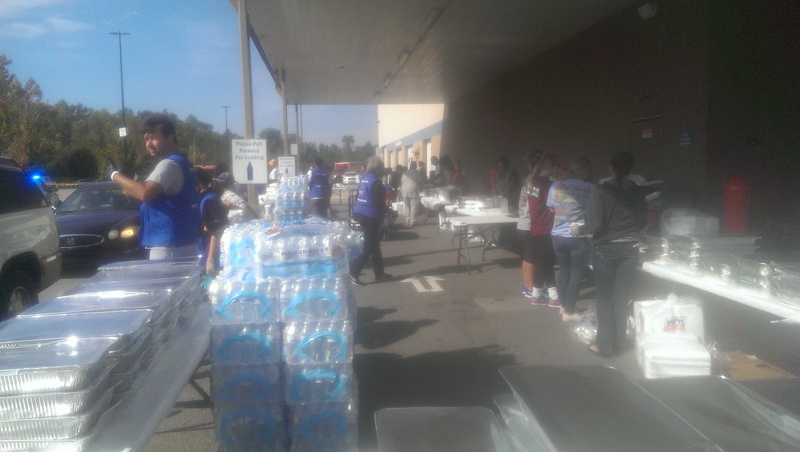 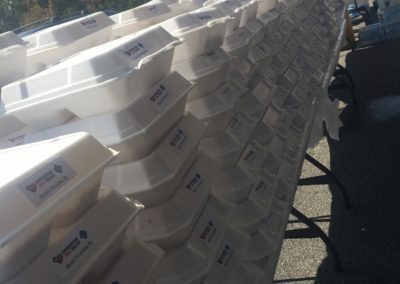 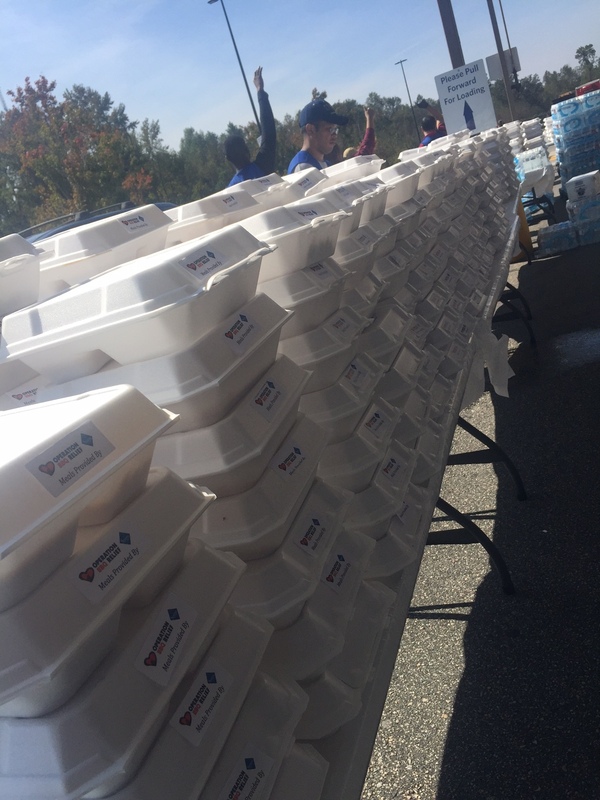 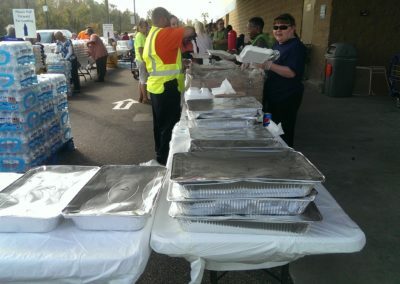 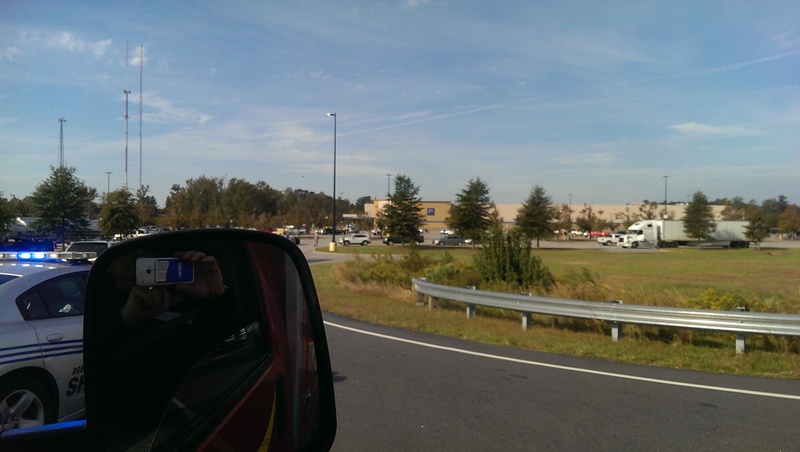 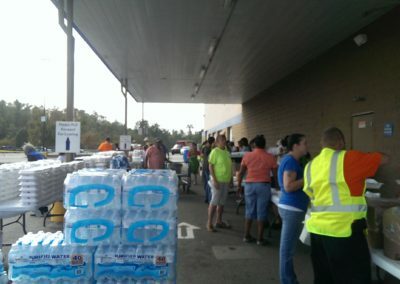 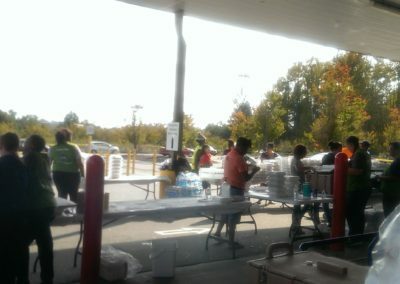 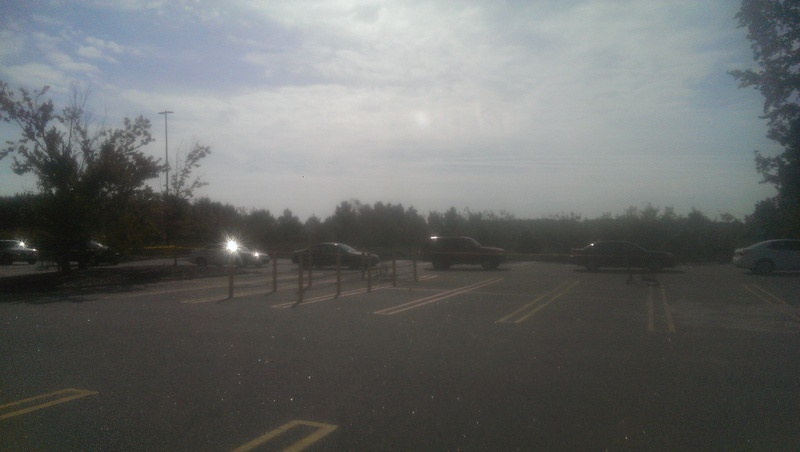 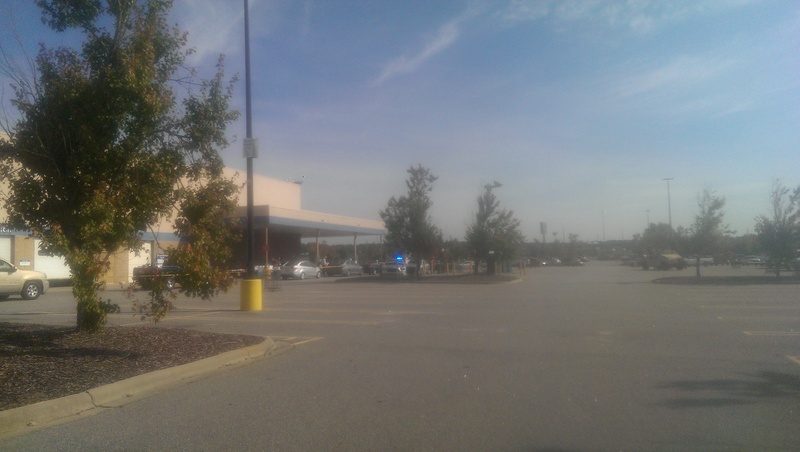 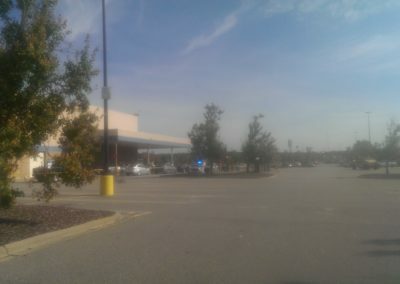 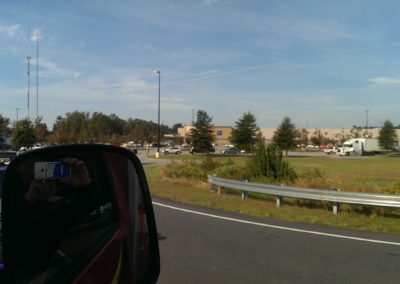 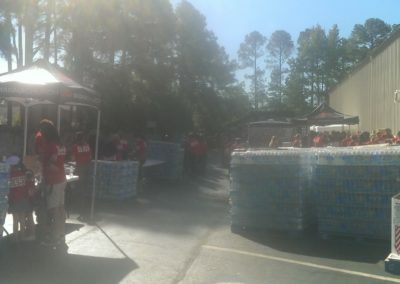 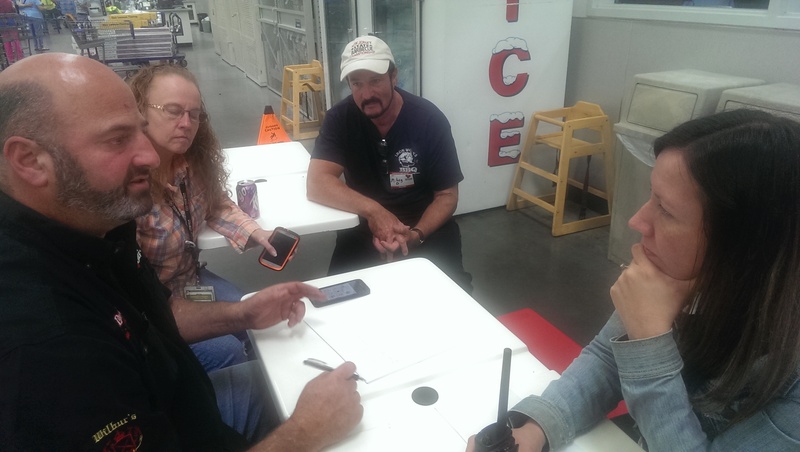 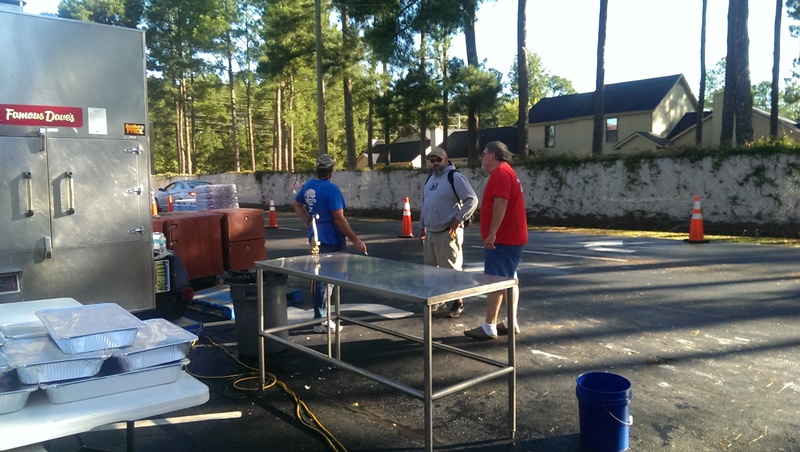 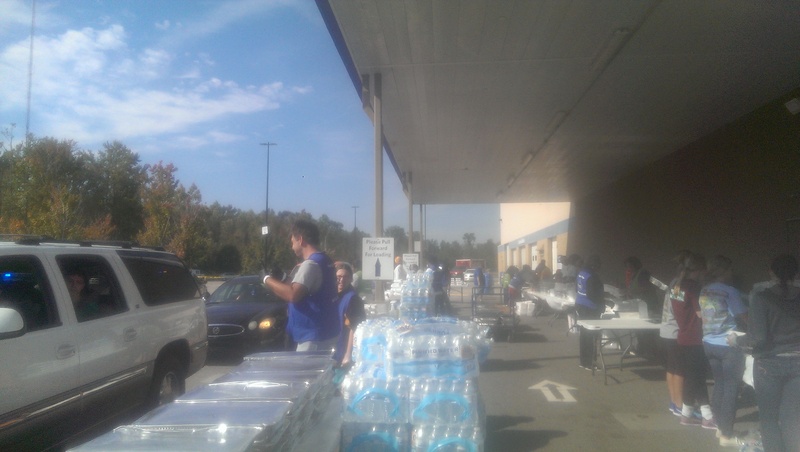 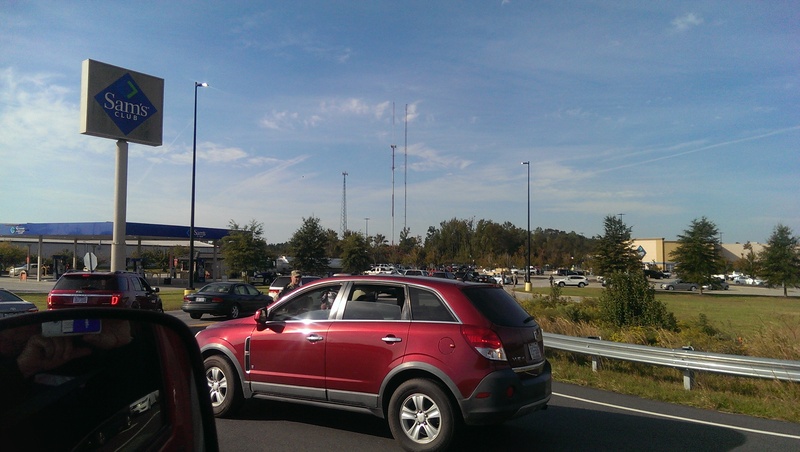 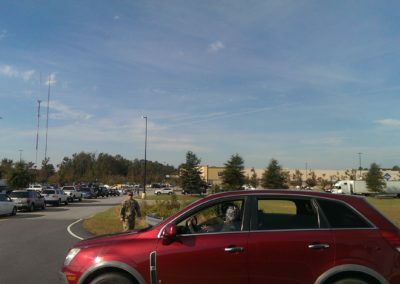 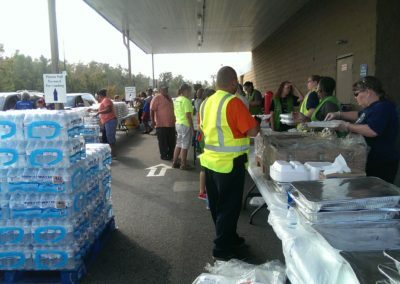 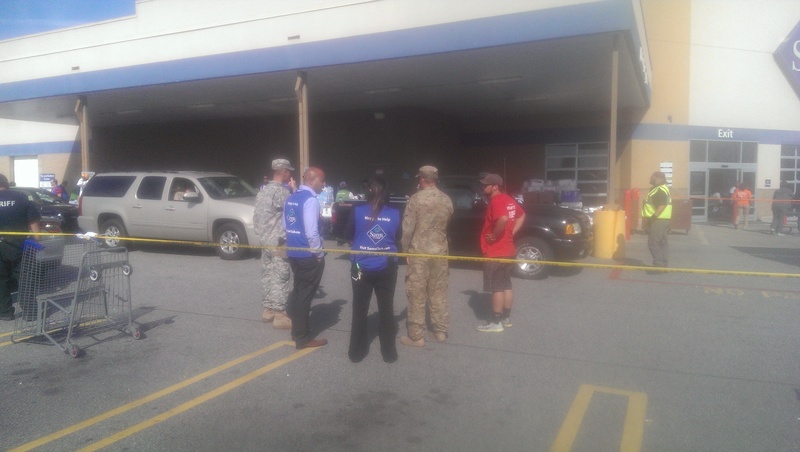 In addition, Keith Marks, Jody Pollack and Stuart Green traveled to Fayetteville and Lumberton North Carolina to assist Operation BBQ Relief in providing over 100,000 meals to the victims of Hurricane Matthew. 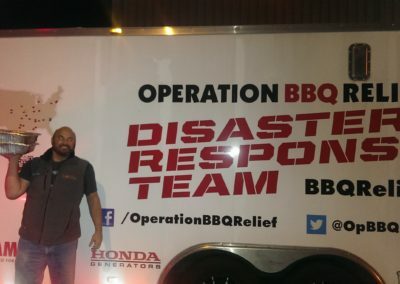 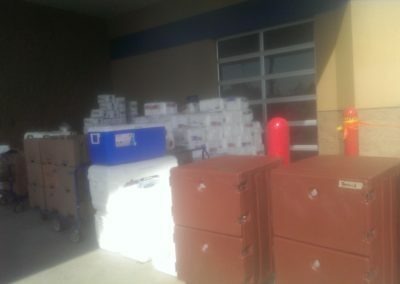 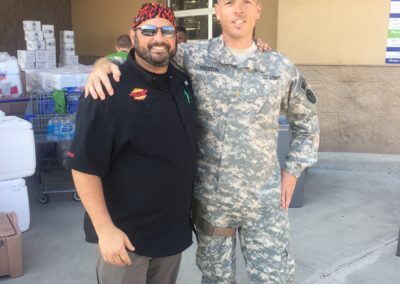 Below is a picture of Keith and Jody with a donation of 450 meals worth of brisket. 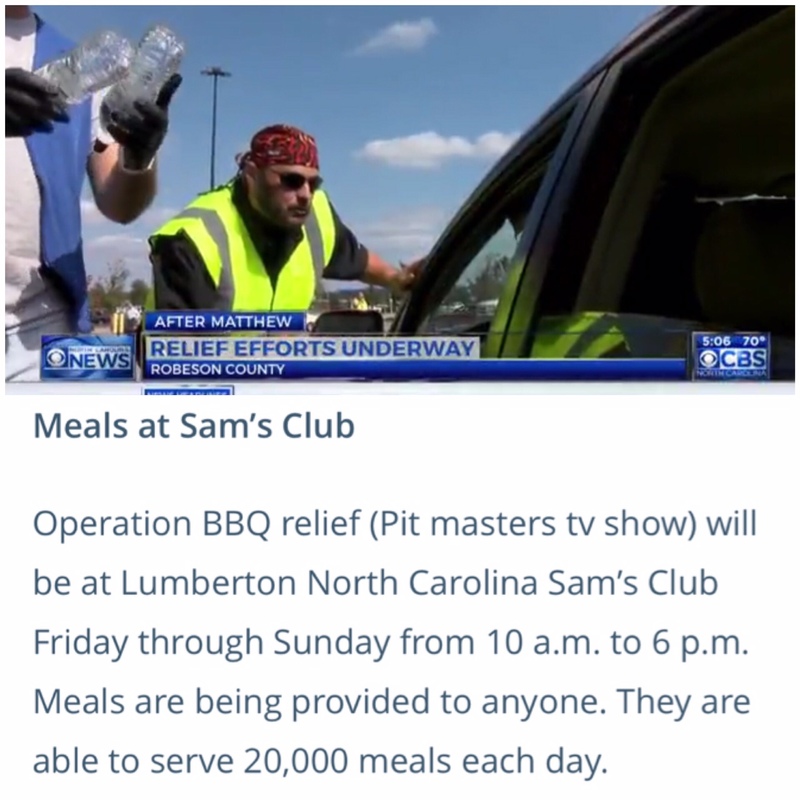 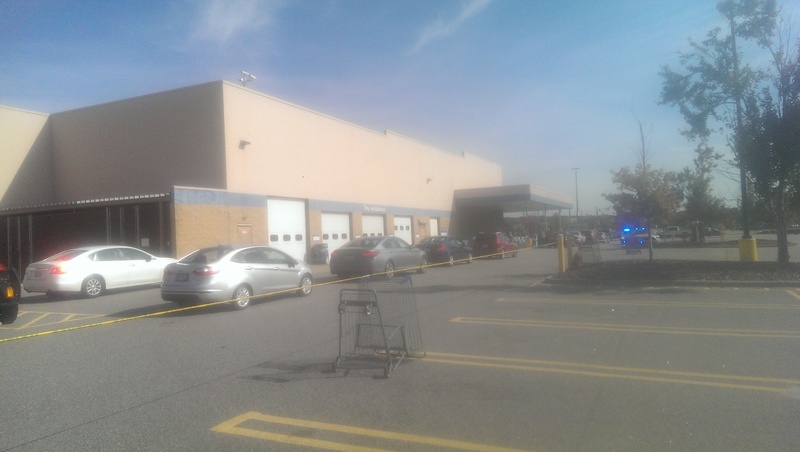 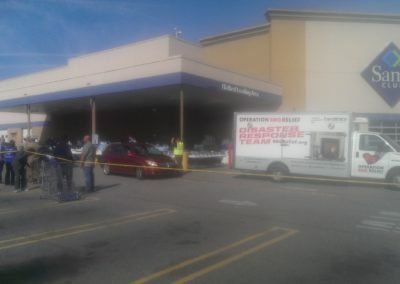 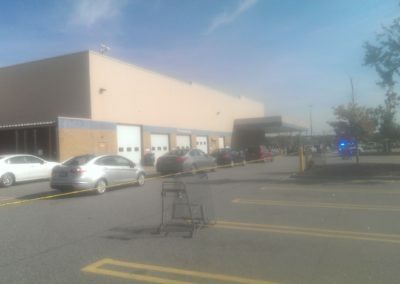 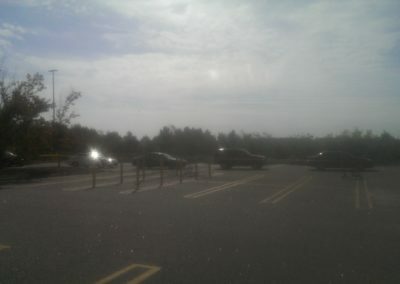 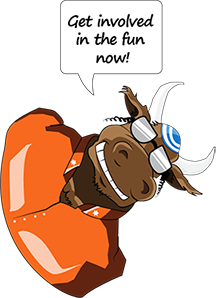 Please check out the news reports from two of the local TV stations. 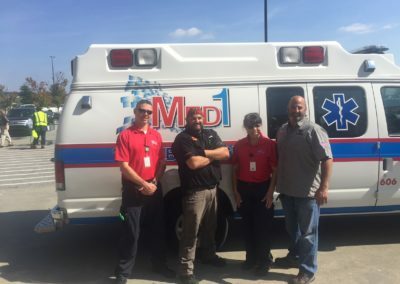 Recently, the Hebrew Order of David (HOD) Bezazel Cobb County Lodge had the opportunity to present a check of one thousand dollars to the Cobb County K-9 Unit. 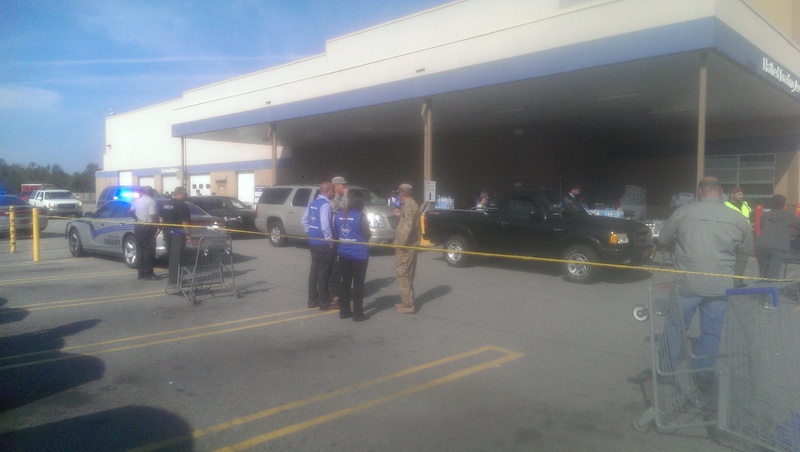 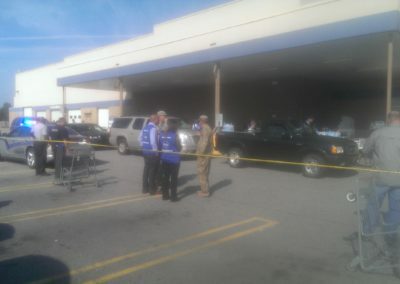 Present were members of HOD, Cobb Precinct 4, the officer and his K-9 partner. 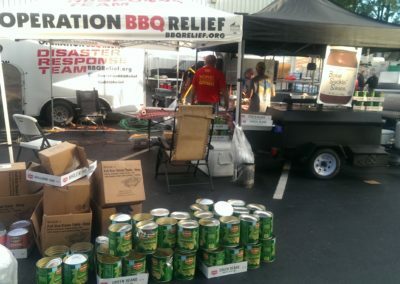 Funds were the results of contributions made in conjunction with the 2016 Atlanta Kosher BBQ Festival. 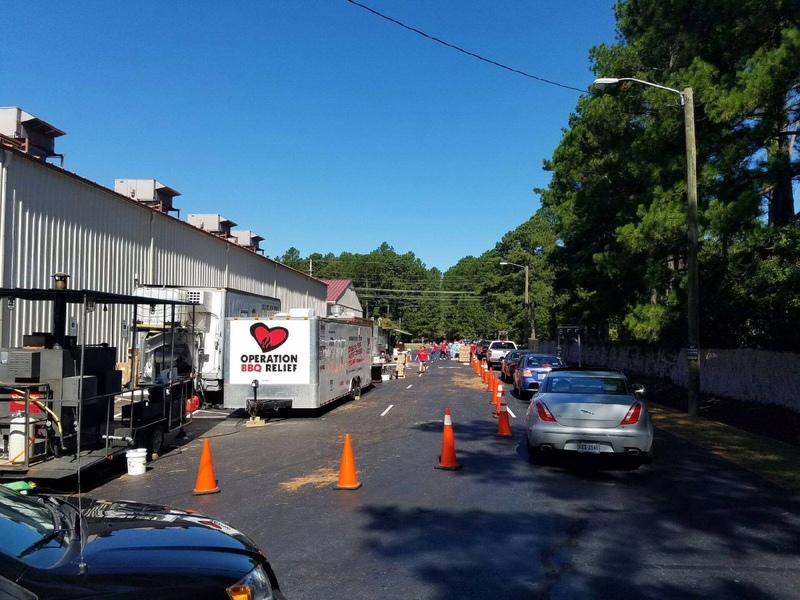 In the picture are L-R: Detective Strayhorn, Field Training Officer Rast, HOD’s Craig Varon, K9 Officer Bultman with Lazer, HOD’s Henry Levine, Major Quan, Officer Johnson.